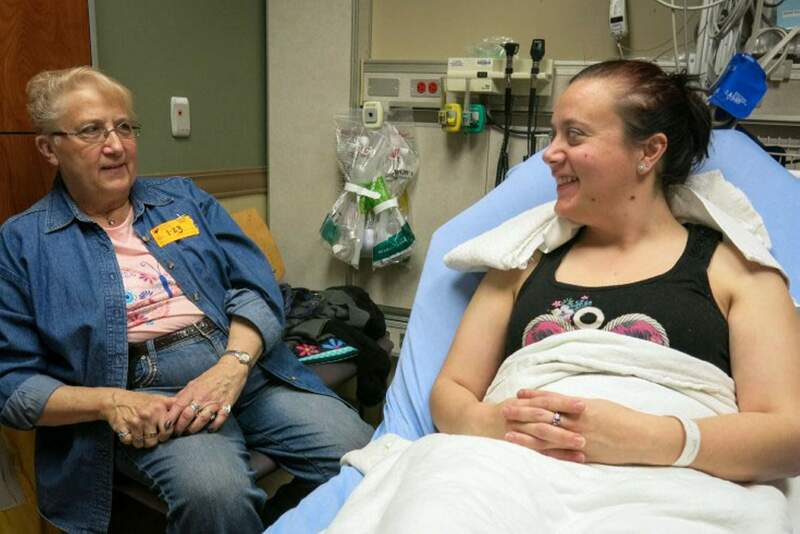 Patient Ashley Copeland talks to her mother Sue Iverson in the Swedish Medical Center emergency department. Copeland was treated for a severe headache with a nerve blocking anesthetic, but no opioid painkillers. She was discharged and advised to use over-the-counter medicine for pain. One of the most common reasons for finding yourself in the emergency room is pain. In response, doctors may try something simple at first, like ibuprofen or a Tylenol. If that wasn’t effective, the second line would be the big guns. Now though, physicians are looking for alternatives to help cut opioid use and curtail potential abuse. Ten Colorado hospitals, including Swedish in Englewood, participated in a six-month pilot project to cut opioid use called the Colorado Opioid Safety Collaborative. It was launched by the Colorado Hospital Association and is believed to be the first-of-its-kind in the nation. The goal was for the group of hospitals to reduce opioids by 15 percent. Instead, Dr. Don Stader says the hospitals did much better: down 36 percent on average.